The ORC's world class clean room facilities. The £200,000 in funding is from the Higher Education Funding Council for England’s (HEFCE) Catalyst Fund programme, to support the Industrial Strategy through curriculum development. 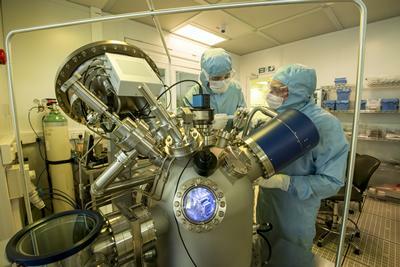 It will enable the ORC to focus on addressing the skills shortage in the highly-buoyant field of photonics – the science and technology of light. In particular, the Centre will link with other universities and partners from industry to develop the skillsets associated with the design and fabrication of photonics devices and circuits in advanced materials. HEFCE’s investment will help to enhance graduate outcomes and employability, and upskill the workforce - providing the key skills that industry and employers will need, and contributing to UK productivity in the longer term.